Redefining Boldness: It's Time to Take Action and Change the Status Quo! This time of year, we all do a great deal of forward thinking. In the wake of New Year’s resolutions, our minds are geared to think of the year ahead and all that we want to accomplish. Our students are goal-setting, attending career fairs, securing housing for next year, registering for spring quarter, exploring summer internships and study abroad opportunities, and many are looking forward to spring commencement! Remember that this is a great quarter to send some love to your student through snail-mail. Care packages, cards, photos of pets, or even a little Valentine’s gift will brighten your student’s quarter. It’s also a great quarter to visit your student - learn about our upcoming SLO Discovery Weekend, happening March 7-10. What plans does your student have for spring break? Will they stay in San Luis Obispo to work at a job? Will they come home for a visit? Maybe they would enjoy joining Cal Poly’s Alternative Breaks program to spend their break doing community service in an amazing location. Talk to your student so that you can plan your schedule too. Remember that the staff and volunteers at Parent and Family Programs are available to support you. Please stay in touch by reaching out to us anytime! Tessa Stevens Espinoza, M.A. Ed. Did you miss last month’s SLO Discovery Weekend? Save the date for the next exciting weekend of exclusive activities from March 7-10, 2019! SLO Discovery Weekend offers special events and excursions to experience San Luis Obispo (SLO) both on and off campus including sport events, city tours, and more! To view the lineup of events from January’s weekend, click here. Registration launches soon so save the date and book your hotel now! We look forward to sharing our favorite parts of SLO with you soon! The turnaround time between winter and spring quarter happens quickly so it is important that your student is looking ahead and making the necessary preparations. Student registration for Spring Quarter 2019 starts on February 21 and ends on March 15. Open enrollment for all students occurs from March 16-29, 2019. Your student can find their exact registration appointment (the day and time at which they can begin registering) in the Student Center of their PolyProfile. For a general listing of registration appointment categories, visit the Office of the Registrar’s website here. 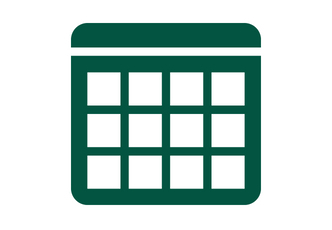 All students are required to plan their anticipated course schedules out a quarter ahead of time via their Poly Planner. You can find information and tutorials about Poly Planner online here. The Mustang Success Center is a great resource for first-year students looking for some guidance as they navigate their schedules and the registration process. Drop-in hours are from 9am-6pm, Monday-Thursday and 9am-4pm on Fridays in Building 52, Room D37. Your student can also make an appointment with a college-specific advisor to plan out their class schedule(s). You can find a list of advising contact information and other resources online here. It seems like it was just yesterday you were moving your Mustang in. Believe it or not, now is the time to start thinking about next year’s housing. University Housing provides two different options for continuing student housing. The first of these are the on-campus Cerro Vista and Poly Canyon Village apartments. These apartments come with full kitchens, Wi-Fi and regular cleaning service, providing your students with a convenient option designed to help them succeed. The second option is the Cal Poly Lofts. Located in downtown San Luis Obispo, this community places an emphasis on entrepreneurship, creativity and collaboration. The Cal Poly Lofts offers fully-renovated and furnished studio and one and two-bedroom apartments with entertainment, restaurants and the SLO HotHouse just across the street. For the Cerro Vista and Poly Canyon Village apartments, current apartment residents can start to secure housing beginning Friday, Feb. 1. All other students, including current first-year students, can apply for this option starting Tuesday, Feb 5. The first step of the Cal Poly Lofts application closes Friday, Feb. 8. Alternative Breaks offers a chance to raise students' self-awareness, supplement their educational experience with the university, and demonstrate Cal Poly's enthusiasm to make a positive impact outside of the campus community. Students are immersed in another culture, which provides the opportunity to examine social issues and reflect on their own positions of power and privilege. Volunteer excursions give Cal Poly students a chance to make a lasting contribution and work together to develop skills as global citizens. All trips include pre-trip orientation workshop, evening group reflections, and free time in the evenings to explore the area. All trips are led by Cal Poly staff. If you would like more information about applying to an Alternative Breaks experience, come to an information session or contact us at altbreaks@calpoly.edu or (805) 756-5338. With cold and flu season upon us, it is important to share critical health information with your student so they can keep themselves healthy and access the resources they need when they do get sick. Remind your student to wash their hands and use hand sanitizer throughout the day after using the restroom, before eating, and when using computers and mobile devices. Washing hands is a top preventer for the flu. Remind them of the common flu symptoms such as a fever or feeling feverish/chills, cough, sore throat, runny or stuffy nose, muscle or body aches, headaches, fatigue (tiredness), and please note that not everyone with the flu will have a fever. Also, reassure your student that they only need to see a doctor if they are experiencing serve symptoms, such as difficulty breathing or shortness of breath, pain or pressure in chest or abdomen, sudden dizziness, confusion, severe or persistent vomiting, and if flu-like symptoms improve but then return with fever and worse cough. And lastly, please encourage your student to stay home and rest for at least 24 hours after their fever has gone. Drinking lots of water, washing their hands, wiping down and cleaning their rooms, and resting, are all ways to prevent your student from getting the flu. 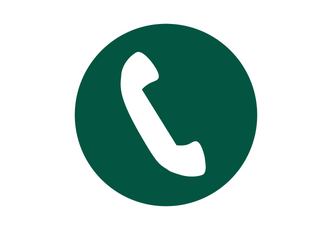 Call (805) 756-1211 to reach an after-hours nurse advice line. Your student may discuss any health related concerns privately and confidentially. Your student’s connection for scheduling appointments, filling out health forms and receiving messages from their on-campus health care provider. The 2018-19 flu vaccine will be available at the beginning of September at no charge to your student! Encourage them to visit the Health Center during our regular nursing hours (Monday, Tuesday, Thursday, Friday: 8:00 - 11:00 AM, 2:30 - 4:00 PM; Wednesday: 9:00 - 11:00 AM, 2:30 - 4:00 PM). Steve Ross doesn’t mince words when it comes to describing the environment in the Black Academic Excellence Center (BAEC – pronounced “base”). He’s quick to point out that while everyone is welcome at the center, they should be prepared to hear about the African-American student experience. Valentina Stafford, a fourth-year student with a double major in Kinesiology and Ethnic Studies, noted that BAEC helped change her perspective about Cal Poly and gave her an on-campus community to call her own. Stafford was on the verge of leaving Cal Poly because she had trouble finding her group of friends during her freshman year. A friend from her hometown in Illinois then introduced her to BAEC. Still, she admitted feeling hesitant at first about entering the center. While BAEC originally began as a source of academic support for African-American students, it has since morphed into much more. Academically, the center offers a wide range of support services to help students navigate college, including workshops on resume and cover letter writing, handling stress, time management and more. In addition, the center provides personal and academic advising and a computer lab, and it hosts monthly “couch conversations” to build stronger relationships between students and faculty members, among other efforts. More than that, however, the center is a social hub for African-American students and their peers. On any given day, Ross noted, the center will bustle with the sights and sounds of students talking, eating lunch together or simply joking around. The center also regularly hosts social events like bowling, movie nights and Kwanzaa celebrations, among others. Stafford said she’s seen that community pull together in times of need too, whether it’s a family tragedy or everyday issues like advising younger students on class schedules and professors. “I always feel like there’s support there – you can’t get that anywhere else,” she said. Social hub aside, the center also strives to infuse black culture into the learning and social aspects of the center. For instance, the center has a library of more than 250 books on the civil rights movement, African culture, and fiction and non-fiction novels by African-American authors. Fourth-year history major Jerod Adams said the center and its community of peers have helped him gain a greater understanding of his culture and his identity. Adams, a Los Angeles native, was first introduced to BAEC by his friend and resident assistant. Ross also seeks to add culture in his role as an organizer for Cal Poly’s annual Black Commencement. Each year, the ceremony features the singing of the black national anthem, “Lift Every Voice and Sing,” along with speeches by former Cal Poly graduates, a keynote address, and its traditional rite of passage ritual. Each graduate also receives a Ghanian kente cloth, purchased by retired College of Science and Mathematics Dean Philip Bailey. Stafford, meanwhile, offered some simple advice for those hesitant to try out the center: Just do it. The Center for Service in Action is excited to announce the 17th Annual Change the Status Quo Conference on February 22 and 23rd, 2019 with the theme Redefining Boldness. This conference aims to empower students to use the Learn by Doing spirit to challenge social norms, ask critical questions, demand solutions and make lasting social change. Through guest speakers, inspiring workshops, and engaging sessions, students will gain the knowledge needed to learn how they can be bold and take ownership of their role in moving the needle with regard to social change. Now is the time to shift our culture, now is the time to look deep within our biases, now is the time to disrupt our patterns, to change systems… now is the time to redefine boldness and change the status quo. New this year, Change the Status Quo is excited to offer our first Whiteness Symposium. This is a series of workshops designed specifically for white people to build self- awareness, knowledge of power, privilege, and difference, and skills for anti-racist practice and community building. Participants will be able to examine their own identities and biases while also working with other white people to take on work for racial justice. Activities will include personal reflection, small and large group dialogue, and experiential activities exploring topics such as the meaning of whiteness, power and privilege, resolving guilt and shame, examining structural and institutional racism, and the lifelong practice of developing anti-racist practice and identity. Encourage your student to register today! Please contact serviceinaction@calpoly.edu with any questions or inquiries. Cal Poly has a variety of great resources for a diverse student body. Each month we will highlight one that may be beneficial or of interest to your student. Safer is Cal Poly’s confidential advocacy, education and support resource for addressing sexual assault, sexual misconduct, dating violence, domestic violence, and stalking. Safer is available for walk-in appointments or your student can schedule a confidential appointment ahead of time online. All crisis counseling is provided by state-certified advocates. For more information or resources, contact Safer at safer@calpoly.edu or 805-756-2282. Safer’s crisis counseling services can be found in the Health Center (Building 27) Room 184. Ever wish there was a how-to guide on parenting college students? While there might not be a manual on raising young adults, there are several helpful resources, articles and books to help you support your student. Each quarter, our office will recommend a recent and relevant book or article for parents and supporters of students of all identities and backgrounds. Want to start a local Cal Poly parent reading circle? Browse Facebook for the many local Facebook groups created and maintained by current and past Cal Poly Proud parents. Happy reading! Parents, supporters, family, and friends can sign up for Spring Commencement 2019 information emails HERE to stay in the loop about commencement ceremonies, regalia, parking, tickets, and more. You can also follow Commencement on social media on Facebook and Instagram to stay up-to-date with the latest news and announcements. Visit commencement.calpoly.edu for ongoing updates and new information throughout commencement season! Contact the Commencement Office at 805-756-1600 or commencement@calpoly.edu with any additional questions or for more information. February 1 | Second installment of housing and dining payment plan due for new Winter/Spring 2019 residents. February 18 | Academic holiday | Washington's birthday observed. Campus administrative offices closed. February 25 | Students on the Spring Quarter 2019 interest list will be sent an email asking if they are still interested in campus housing. February 26 | Last day to withdraw from course(s) for serious and compelling reason (5:00 pm). February 28 | Last day to cancel spring quarter housing and dining without financial penalty. March 1 | Third installment of housing and dining payment plan due for new Winter/Spring 2019 residents. March 11 | Second round of registration appointment rotations. March 11 | Enrollment increases to 22 units and waitlist remains at 16 units. March 11 | Students on the Spring Quarter 2019 interest list students are sent an email asking if they are still interested in campus housing. Those who respond back will be emailed application instructions. Students with ADA needs should contact Disability Resource Center (DRC). March 18 | Spring Quarter 2019 Housing License Agreement due. 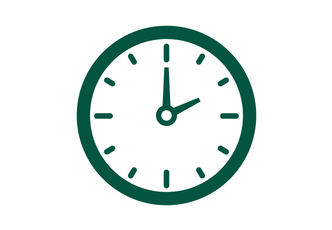 March 22 | Last day for continuing students to edit the 2019-20 housing application through University Housing single-click access on the Cal Poly Portal. Edits to application do not change the application submission date. March 25 | Class Cancellation: Students may be dropped from all enrolled classes if Registration Fees are not paid by 4p.m. Excludes Financial Aid and other certain student groups. Mach 27-29 | Charges are posted/payment is due for new Spring Quarter 2019 campus housing residents. (Pay via the Cal Poly Portal, Money Matters tab). March 30 | End of Housing License period for Winter Quarter 2019 Residence Halls, Cerro Vista Apartments and Poly Canyon Village Apartments. March 31 | Beginning of Spring Quarter 2019 license period for Residence Halls, Cerro Vista Apartments and Poly Canyon Village Apartments. New students begin moving in at 3 p.m. University Housing Offices are open 3-6 p.m.
Grammy Award-winner Dan Zanes occupies a unique place in American music - where sea shanties, English Music hall, play party songs, the spirit of early rock-n-roll, soul, North American and West Indian folk music collide. For the past 15 years, he has toured the world with his band, Dan Zanes and Friends, sharing handmade 21st century social music with enthusiastic crowds of kids and kid sympathizers. Often referred to as the “poet of the violin,” Joshua Bell is one of the world’s most celebrated violinists. He continues to enchant audiences with his breathtaking virtuosity, sheer beauty of tone, and charismatic stage presence that embodies a restless curiosity, passion, and universal appeal. Bell returns to the Harman Hall stage with his touring accompanist, accomplished pianist Sam Haywood. Hosted by the Orfalea College of Business Marketing Department, the MCC provides an opportunity for companies and students to network regarding careers and marketing expertise. The more than 50 dancers of one of Russia’s foremost ballet companies imbue vibrant performances with the timeless tradition of classical Russian ballet. This full-scale production of composer Pyotr Ilyich Tchaikovski’s crown jewel is sumptuous in its scope, featuring choreography by Russia’s legendary Marius Petipa. This new production of Celtic Nights-Oceans of Hope captures the very essence of who we are, where we came from, the dreams of a better place, liberty, Freedom and above all…..family. It's the story of America, Australia, Canada, and New Zealand. It's the story of people moving across Oceans from all the nations to free themselves from hunger, war, persecution and famine to find a better place. This is their story told through Irish eyes. Germany's Gypsy Jazz legend Lulo Reinhardt will return as the show's host and will be joined by Calum Graham, the young Canadian contemporary sensation; Marek Pasieczny, Poland's innovative classical composer/ performer, and award-winning American guitarist Michael Chapdelaine. Launched in 1991, the National Science Bowl® (NSB) is a highly competitive science education and academic event among teams of high school and middle school students who compete in a fast-paced verbal forum to solve technical problems and answer questions in all branches of science and math. Regional and national events encourage student involvement in math and science activities of importance to the Department of Energy and the Nation. Inspired by the words and action of Dr. Martin Luther King, Jr. and curated by musical director, multi-instrumentalist, composer and conductor Damien Sneed, We Shall Overcome showcases a repertoire from across the African American music traditions that electrified generations of civil rights activists and defenders. Interwoven with spoken word from Dr. King’s recorded speeches, an awe-inspiring assemblage of vocalists tie together a living lineage of music and culture that includes traditional gospel, modern gospel, classical, jazz, Broadway and spirituals. From Aretha Franklin and Wynton Marsalis to Duke Ellington and Stevie Wonder, from traditional spirituals to music from The Wiz, each genre fluidly covers vast musical ground in a single performance. A distant island... a storm... a shipwreck... and some magic. In this re-imagining of Shakespeare's classical play, all is not what it seems. Plots of revenge are hatched, young love blossoms, and those that are lost become found.